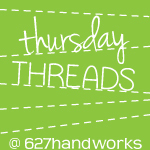 Triangle QAL- Sign-ups and Fabric Selection! Fabric Selection and Official Sign-up! Here we are! The Triangle Quilt Along has officially begun. I am excited to get my triangle mojo going again and quilt along with you guys. First things first! 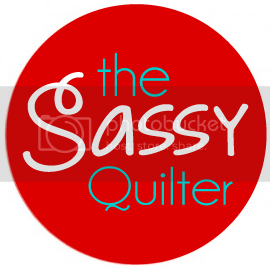 Let’s review how this QAL(quilt-a-long) will work. Worried or nervous about linking up your pic? Please email me if you have any questions and I will do my best to walk you through it. Come back tomorrow for a post on how to link up your picture for those who need it:) I will show you how to navigate from Flickr too. I know some are using it for the first time. So do you wanna see what fabrics I am using? Sunnyside by Kate Spain for Moda! I actually had a layer cake I wanted to use for this one. So I am just cutting as many as I can out of it(3 per 10″square) and filling in with some matching solids. Our total amount of triangles will be 204 if you are trying to make something like this work too. If you have forgotten the fabric requirements…visit the Triangle Quilt Along homepage HERE or on the menu bar for all the info you need to quilt along. There are two types of triangles you see when quilting- Equilateral and Isosceles. 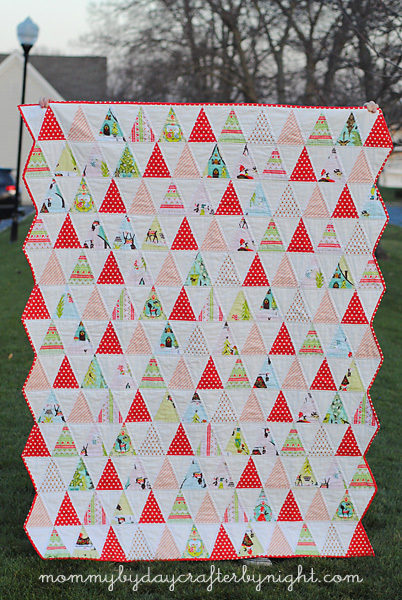 Isosceles Triangle Quilt by Ashley@MommybyDayCrafterbyNight. Now you got to go back to your math/geometry vault on this one. Equilateral triangles have equal sides and are called 60 degree triangles in the quilt world…well, in all the worlds actually. Isosceles triangles have to have two equal sides and are more like 45 degree triangles to quilters. Think short and stumpy(equilateral) and long and lean(isosceles). What makes people think twice about making a triangle quilt? B. When cutting out triangles, because of the diagonal lines, you now have the issue of bias to deal with. Bias is not so bad, it just makes the fabric stretchy and as long as you know that and handle it a little more gently, you will do just fine! Hey, sometimes bias works in our favor. It lets us fudge those points a little if we need to and is great when working with all things curvy. Want to go ahead and start getting your fabric ready? Press and Starch all your fabrics. To help with bias I recommend a heavy starch. This will keep things stiff and not so stretchy! Don’t think you have enough time? Make a smaller quilt if you like, even make a mini! If you already commented and told me you will be participating then I have got your name on the list, but feel free to say hello! This weeks Prize and Sponsor! 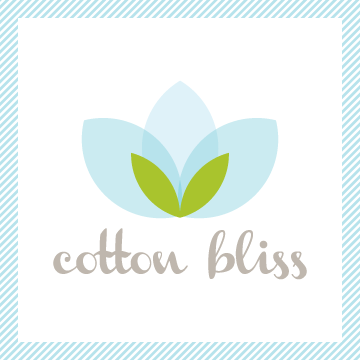 $25.00 gift certificate to Cotton Bliss! Stefanie has some amazing new lines in…so go check them out so you know what to buy when you win! 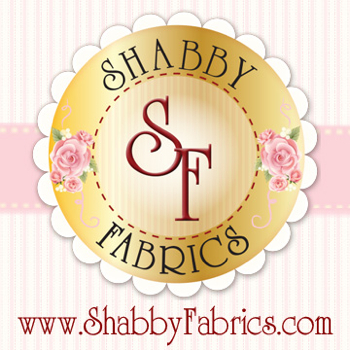 Through today she is having a great sale up to 30% off on all fabrics and precuts. A Swirly Girls Design pattern! I’m in. Now I will just have to learn the linky thing.! I’m hoping my link up at number #1 will be lucky this week! I can’t wait for this quilt along! I hope I can keep up with the weekly assignments, as I’m moving in 2 weeks! But, I’m going to give it a good ole college try! I love my fabric so I think that will help keep me motivated! Thanks for hosting it, Paula! I am going to give a whirl! Thanks! Very excited! I’m in. Now to select my fabrics. I think I post a comment on a earlier post that I’m in. I’m just making it official. I can’t wait to get started. I may go a little smaller. The admin in our department is expecting a baby this year so I hope these colours work for a boy or girl. Paula, could you please help me calculate how much fabric I need to make a single-bed sized quilt. I have bought half a metre of each, but should I buy more? I am in. I’ve already select my fabric, alrady pressed, maybe it will need more press before cutting them. Fun!!!! I am in!!! I love there are some already linked up!!!! Hello Sassy, Count me in:)!!! I’m in – thinking of making it into a baby quilt…. I’m in and this should have been on my Quilty Bucket list!! Can’t wait to cut in and get going!! Phew, finally :) I feel like I have been waiting for this forever. My very first quilt along I am pretty darned excited. What kind of triangle does this call for? I may buy a die to cut mine. What size are they? I’m in. hoping to make 2 or 3 or so quilts, so I can get my fill of triangles in different fabrics. I’ve got my fabric all starched and ready to go. I like Best Press too. I’m in. Can’t wait to make another triangle quilt! I’ve been wanting to do a triangle quilt and this will get me going. Hoping that linking up at number 13 is lucky for me. I am so excited. I am out of town but brought along fabric and my sewing machine, so I will be linking up later tonight. 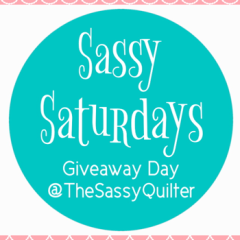 I never thought you would take this on when I suggested a quilt along, so thank you sew, sew much for taking the time to organize this QAL and I will definitely make future fabric purchases from the sponsors. I have to figure out Flickr tonight. Once again, many thanks! I’m totally looking forward to this project! Got my fabric selected and ready for pressing. I am sew in to this! 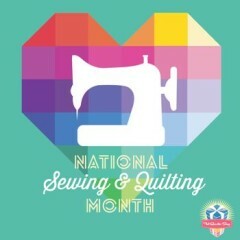 It is going to be sew much fun!!! It looks like a big turnout, yeah!! i’m in with a bunch of red Kaffe, this is going to be fun. I’m in, I will have to learn how to link your button to my blog, Can not wait til we start….. Please sign me up as a participant in the Triangle Quilt-Along. 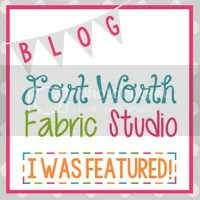 I added the button to my blog sidebar and will post about my fabric shortly. Thanks for hosting and I’m looking forward to working with triangles for the first time. I’m already in and have posted my fabric. I’m currently using Sunnyside layer cakes for a disappearing 9 patch. These will look great as triangles! Love your fabric choice! That will be so pretty! Paula, I’m so happy you’ll be making yours from a layer cake…as I have a few laying around…so who knows, maybe I’ll make another triangle wonder this summer! I’m off to start pressing. :)PS I think your fabric is going to make a gorgeous quilt! 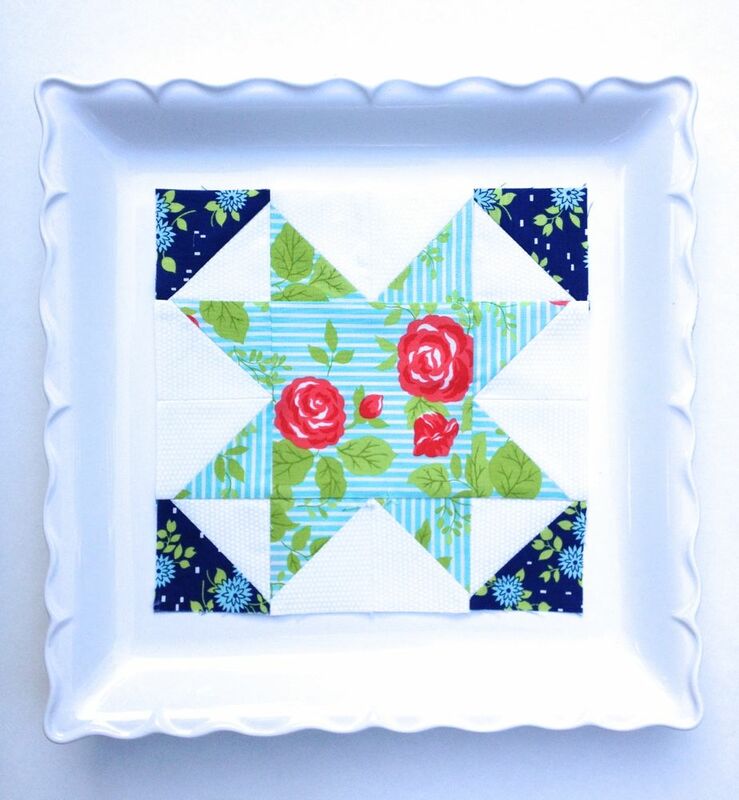 This is something I would like to challenge myself to – not that I need another QAL, but I do have a fun FQ bundle and will do a post up of fabric – button has been added to my side bar. I am definitely going to QAL with everyone – posted my fabric pull earlier this week on Flicker – using fabrics from the Tapestry line – including 2 solids. My post looks funny – it says that the photo is by “YOU” – don’t know how to fix this. I finally got some decent pics of my fabrics, and figured out how to get them on flickr. Yay me! As soon as I can make up my mind about which fabric to use I will link up! Love Best Press! I am joining. Now I will have to figure out how to link up! Is it only “new” triangle quilts for the quilt along, or can I sign up with one I’ve already started but is in my UFO pile? I have my triangles cut out already and have about 5 rows pieced together but it’s been a couple of months since I looked at it. If it’s okay to join in with a partially started project I’d love to join in for the motivation to keep going! Hi Paula, I’m in! Maybe only have time for a smaller lap quilt, but still excited to join. Hi Paula. I’m link 29. Very bright fabrics, I know, but this quilt will be a birthday present for a friend who loves bright colours. Thanks for doing this quilt along, also for the linky tutorial you posted today. I have used linky before and figured it out by clicking buttons and seeing what happened. Your post would have been very helpful then. I am in!! I have a stack I have been saving for a triangle quilt and this is just the motivation I needed to get started. I would like to join the fun too! I was planning to make a triangle quilt any ways, why not have company while doing so ;). I’m in. I love quilt alongs. I’m looking forward to this QAL. I just need to figure out how to most economically chop up my fabric. Love the Sunnyside fabrics! I’m using a FQ bundle of Grant Park by Minick and Simpson. Off to starch and press! Sassy, I am in! I will post my selections later today. Just found you today! I’m in! I’ve been meaning to make one of these for a while now. Thanks! I will post a photo next week when I return home. Have decided to go totally scrappy, with no repeats. I have this thing for the ladt while or so, I am addicted to charm quilts, so guess my triangle quilt is going along the same road. I’m hoping to follow along–I have a few wedding and graduation gifts in the works, but hopefully I can fit this in! Hi I’d love to do this quilt along with you! Love these triangle quilts! Thanks for hosting this triangle quilt along. I’ve been wanting to do one so it’s the perfect time. I want to get the Inklingo supplies I need. Can you tell me the finished height of the triangles? I’m in, but don’t have a clue about “linking up” I may be calling you. Your first instructions said 13 fabrics, but see you are using many more, so I may go back and rethink my choices! I only had 1/4 yd of some that I would like to use!! This should be interesting. I’ve never done a “group thing” like this before!! Thanks for getting it going! I am going to give it a try, I love the way it looks. I will figure out how to link my fabric choices tomorrow! I need a new project, haven’t decided on fabrics but leaning toward patriotic. Thanks! I’m in! I will be using a bag of scraps and leftover fabric I found. Thanks for hosting! I’m in, chose my fabrics, posted my picture, joined the Flickr group….I hope that’s everything!! Excited! I’m totally in! This is going to be awesome!! I’m happy to be sewing along! I am so excited to join! Ordered my triangle ruler! I’m in. Selected, and cut my fabrics on friday…and now I realise my selection pic is blurry! opps. I said I was in before, but just stopping in to say “hi” and make sure I’m on your list! =) hugs! Joining in … just hope I am not too late! I want to play too. Am I too late? 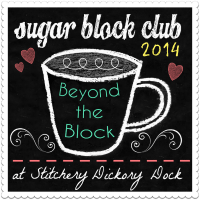 I am officially in and just blogged and posted my fabric choices! Please count me IN. Will post my fabric choices now…. I need help! I can’t post a picture of my fabrics here! Help!I don’t have a blog. Twist my arm why don’tcha? I am totally in!! I have my fabrics pulled but haven’t gotten a good photo of them or written a post about it yet. They are citrus shades- oranges, yellows, and lime greens. I can’t wait to cut into them! A little late but I’d like to join in. I think I posted on the wrong page so posting again here. I’ll post fabric picture on Flickr soon. Need to go check out the stash. There’s plenty there to choose from and I even have the ruler. Sign me up! I’m in! Going to make my quilt for my daughter to give as a wedding gift to her best friend! Just linked up – with three minutes to spare. Phew! 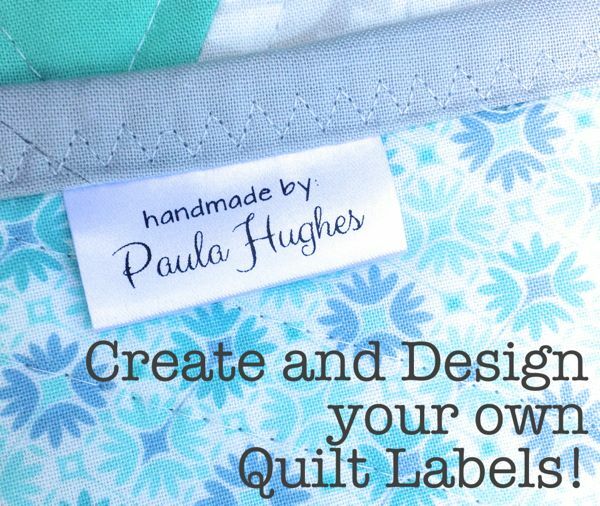 I’m so excited for this, Paula – I love quilt alongs, and this will be my FIRST triangle quilt. What’s one more QAL…and triangles new to me also!! Fun! I just found this today and will be joining up. Thanks for the great triangle tips! I’m joining late, but I want to try this quilt. I’m going to my sewing room now to pick fabric and cut. Joining late but am so excited to start this quilt! I finished cutting out my triangles today. I’m joining late, but I’d like to jump in! Would love to try this. Being on a schedule will keep me on track.